The Ordinary can be really confusing when it comes to layering. Layering products should be done from the thinnest / clearest to the heaviest / opaque. I suggest you mark your products 1, 2, 3, 4 when starting out. It´s all about layering the products so they are able to penetrate the skin. 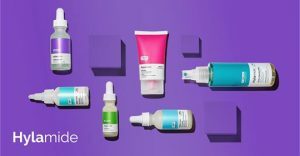 At the bottom of this page you will see examples of the Deciem Regimens so you can see for yourself where all the products fit in a regime. Apply these to cleansed skin. Acids should be applied to dry skin. 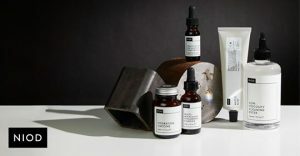 If you use numerous water based products, Deciem have often said start with the one which helps the skin condition you are trying to target the most. Oils should be applied after water solutions and before creams / emulsions. Some people leave this as their last step or you could lock it all in with a cream like Natural Moisturising Factors. Suspensions cause quite a bit of confusion. 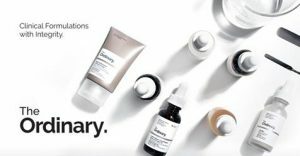 Deciem say apply after heavier creams but many people disagree with this and apply just before the creams. You can always Live Chat Deciem and ask. As you can see above, Deciem say Emulsions / Creams last but this doesn’t really work except for the Natural Moisturising Factors. So as you can see, the rule 1,2,3, 4 doesn’t exactly work and you need to do a bit of free thinking. Emulsions come last however, Retinoid 2% and Magnesium Ascorbyl both say after water solutions but before oils. Read the directions on each product. In bold you can see numbers as per above which hopefully will help you understand the order of layering.